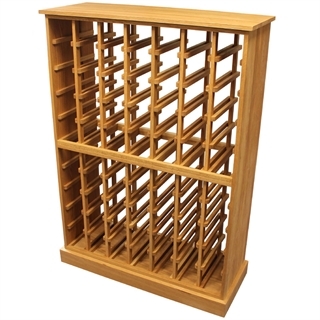 This Wine Cabinet will store up to 70 magnum sized bottles, it features two compartments each holding 35 bottles (5 high x 7 wide) with a top, plinth and solid side walls, all made from solid oak. It is ideal for any home and can match the décor as this cabinet is a piece of furniture that can enhance any room. 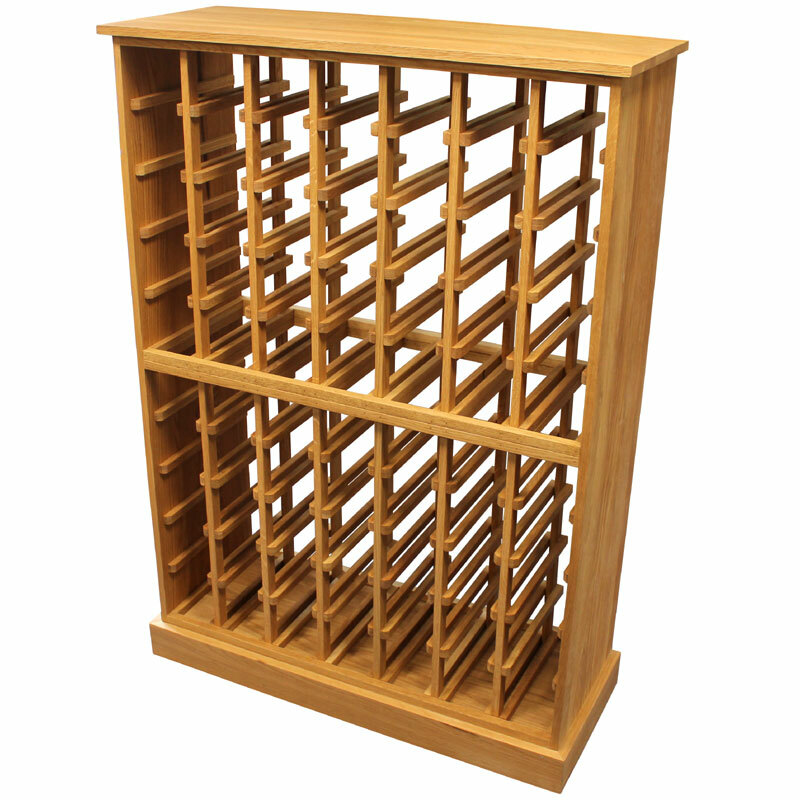 The solid racks mean bottles can easily be withdrawn from the chamfered ended supports and you're able to arrange your wine collection in a way to suit you. 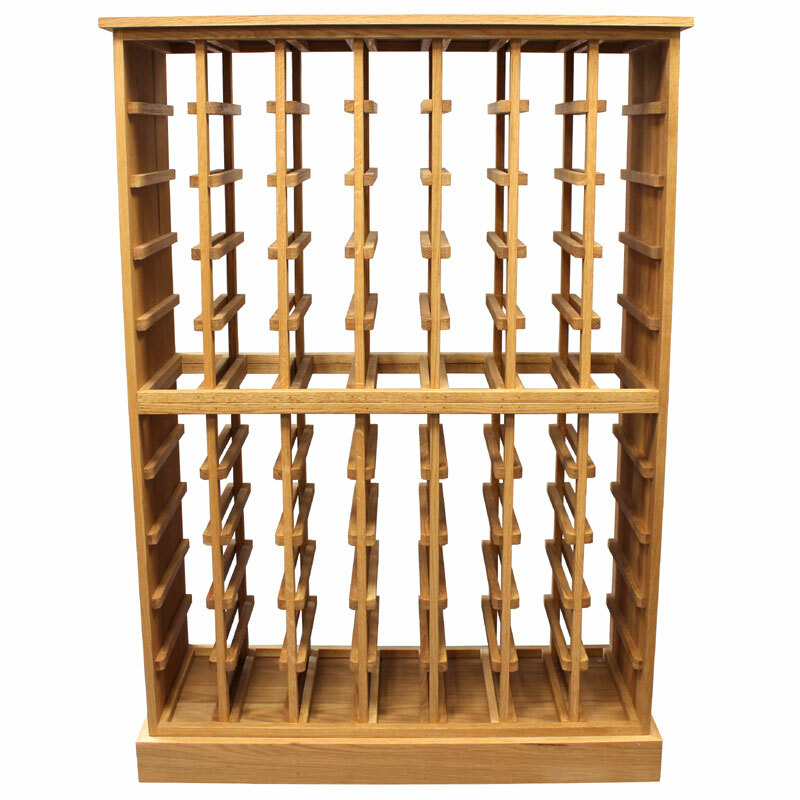 Please Note: this solid oak wine cabinet is suitable for magnum sized wine bottles.